Personally I had mine removed when I was 31 years old. Mine grew into a functional position and I used them to chew. The only problem was, they were in a very inaccessible position where I could not keep them clean. The uppers were right up against my cheeks and I could not get a toothbrush between my cheek and tooth. Eventually I developed cavities on them. I had all four of them extracted on a Saturday by one of my colleagues and I was back to work on Monday. I generally heal very easily and had no issues at all. It varies case by case but in general if you have wisdom teeth that are impacted or difficult to keep clean then you should have them extracted. 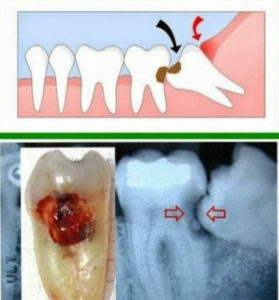 Impacted teeth are trapped under the gums. They can lead to pain, infection, damage to the neighboring tooth, tooth decay, or a cyst. If you choose to keep your wisdom teeth then it is important to have them regularly evaluated. For most wisdom teeth, I would usually refer them to an oral surgeon because they are specially trained to deal with this type of treatment.